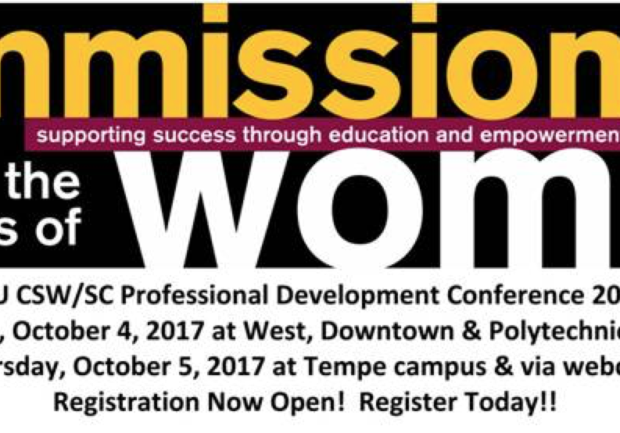 Reserve your seat for professional development sessions at the ASU CSW/SC Professional Development Conference! 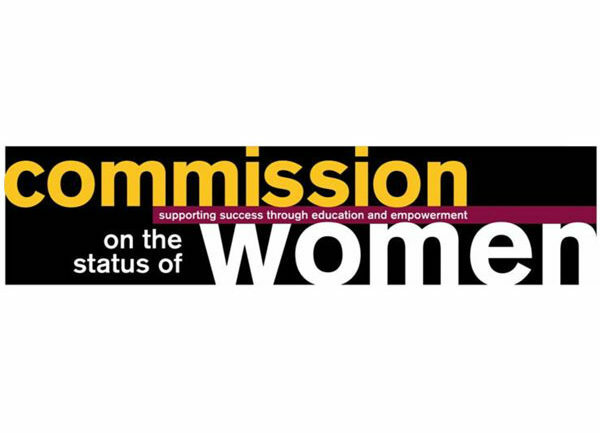 The ASU Commission on the Status of Women and the ASU Staff Council will present workshops and special lunchtime events on career development, workplace skills, leadership training, supervisory training, financial planning, family, work/life balance and more at their annual event. 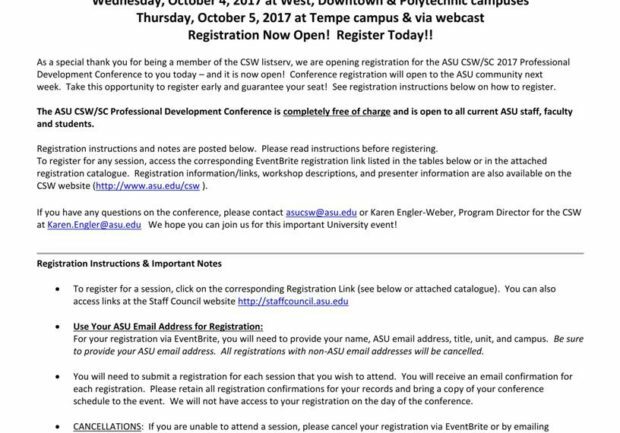 The conference is open to all ASU faculty, staff and students free of charge. 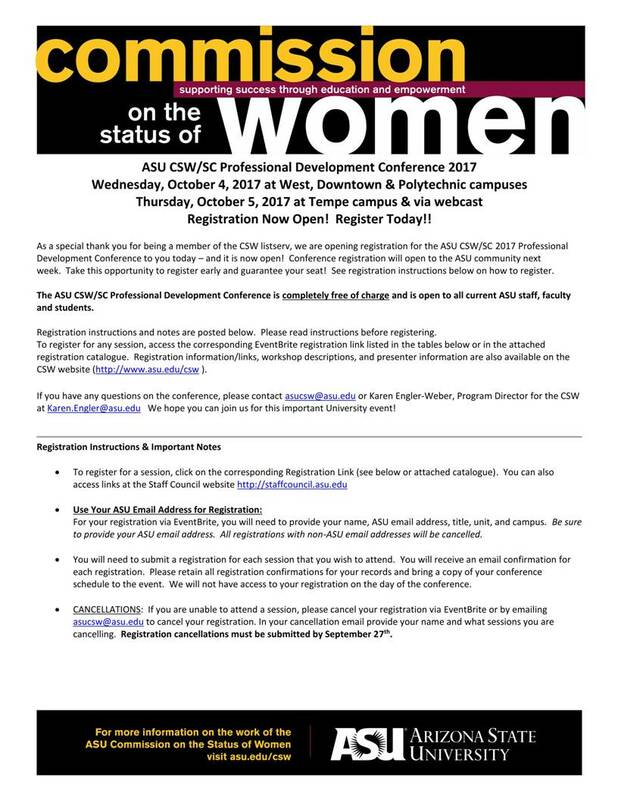 Attend one session or stay for the whole day. 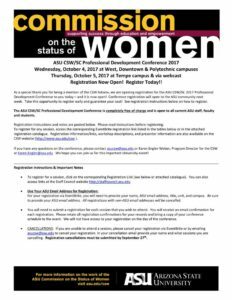 Seating is limited and tends to fill up quickly, so register now! Questions? 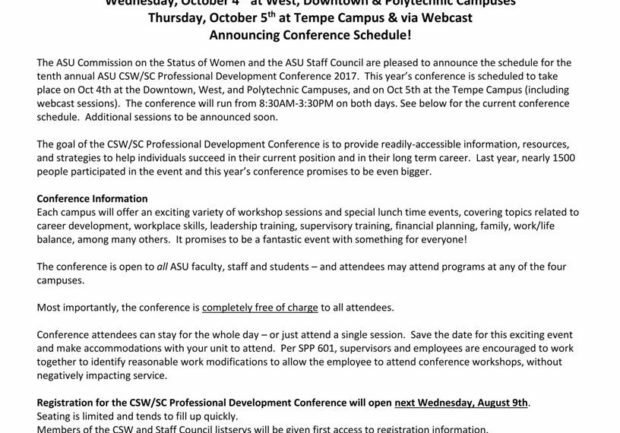 Contact Karen Engler, program director for the Office of the Provost, at karen.engler@asu.edu.